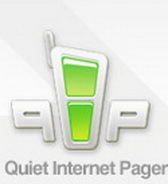 QIP PDA Symbian is a freeware program for online communication. It`s one of the most popular instant messengers. It is used by many thousands of users. QIP is for instant message delivery and feedback.